In the dark world of protectors, futures are fated, love destroys, and sacrifices are certain. From bestselling author Randi Cooley Wilson comes a darkly romantic twist to an epic paranormal romance story about a divine secret, a loyal protector, and a forbidden love. Eighteen-year-old Eve Collins started college unaware that one revelation would challenge everything she’s believed to be true about her family, life, and future. Around every corner, danger, secrets, and lies quickly become her new reality. And holding all the answers is the very attractive Asher St. Michael. Dark and mysterious, Asher is appointed to protect Eve at all costs. Bound by his oath of loyalty to mankind, he is forbidden from loving her. Drawn to one another by their forbidden attraction, they descend into a world filled with treachery, deceit, and darkness. A world where they find themselves caught in the middle of a centuries-old war. A world where they are forced to decide what they will sacrifice for love. Revelation is a journey of self-discovery, love, and sacrifice. It is the first full-length book within The Revelation Series, which is meant to be read in release order. Intended for mature readers. This story was rich and full of everything that it needed to stand out amongst so many other books I’ve read. 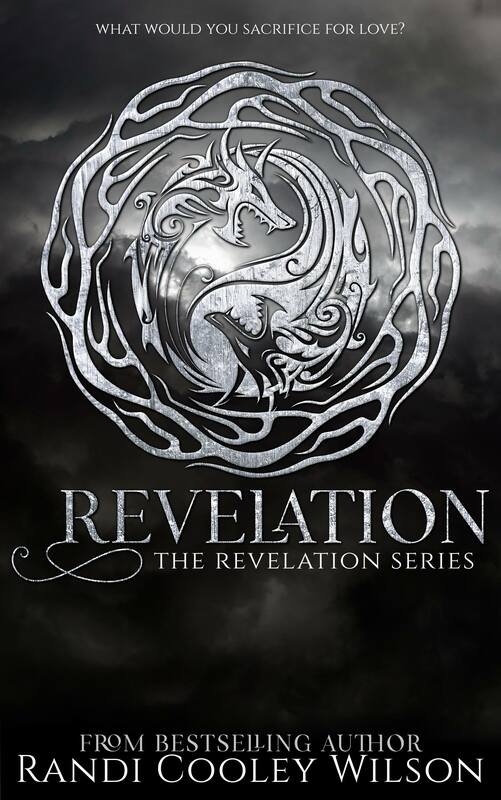 If you’re looking for a read that has a basis of mythology, with interesting twists and characters you’ll really like, I recommend you check out Revelation. This book is PHENOMENAL! MUST READ! Great story, pace, and writing, you couldn’t ask for a better book! Revelation is an outstanding story, for both Young Adult and Adult readers. Everybody will be able to enjoy this journey and will be happy to dive in head first. It is a story that will not disappoint. 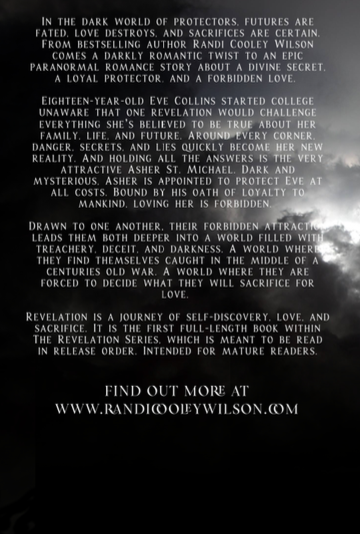 Revelation is a great book for all fans of paranormal romance. I liked the writing, characters, dialogue, plot, action, romance… the things that make a good story a great book. This is a story...unlike any other I've read.